Norwegian duo Misty Coast join us to talk about their new single and upcoming album, ahead of their imminent performance at Ja Ja Ja Berlin! 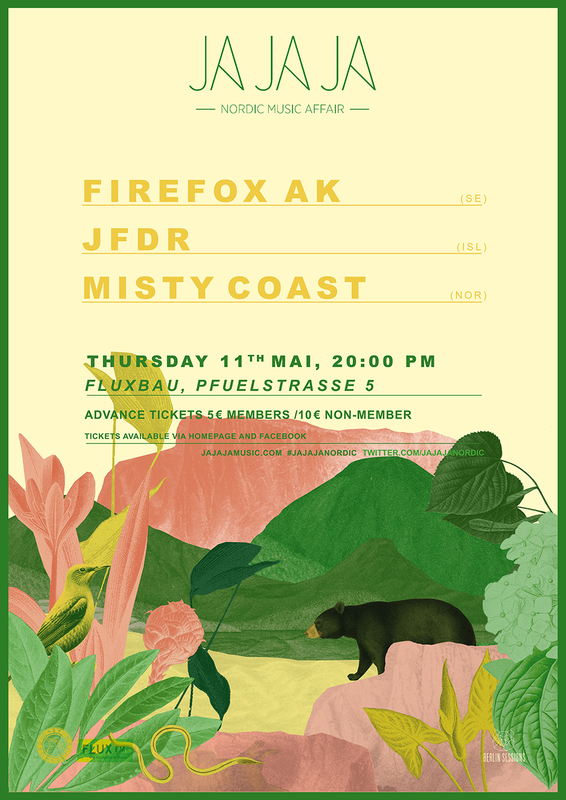 The final Ja Ja Ja Berlin show of the spring season will take place on Thursday 11th May, and boy do we have a great night lined up for you! 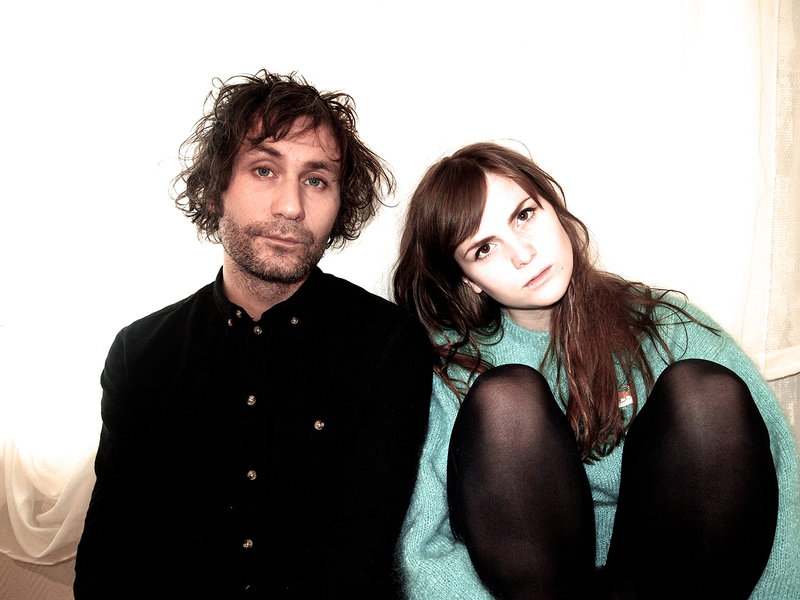 Joining us at FluxBau will be Norwegian duo Misty Coast, who just happen to have released a brand new single! You might recognise the pair from their other musical endeavours with The Megaphonic Thrift, so we’re proud and excited to have their new project play such a huge part of the upcoming Ja Ja Ja night in Berlin! Read on to find out more about their latest single ‘Leap Year’ and when we should expect their long awaited album to land, and make sure to join us on Thursday 11th May when Misty Coast perform alongside Sweden’s Firefox AK and Iceland’s JFDR! Tickets for Ja Ja Ja Berlin are available now – just €5 for Ja Ja Ja members (sign up here to receive your discount code by email!) of €10 otherwise. For those that haven’t met you yet, could you please introduce yourselves – who are you, where are you from, and how would you describe what you do? Misty Coast is a strange girl and a weird guy from Norway trying to achieve peace and happiness in creating music that hits certain people directly in the heart. We play some sort of minimalistic psych-pop, holding on to the ideology that less is more. Today marks the release of a brand new single from you! Can you please tell us more about the story behind ‘Leap Year’? We actually started making this song on the rare 29th of February last year, so the working title was suitably ‘Leap Day’. Lyrically it swerved towards the theme of time passing by all too fast. Sometimes it feels like yesterday you were 19 and drunk with your friends in a park with no worries about coping with the next day – or the rest of your life for that matter. You remember how your heartbroken girlfriends always cried at nachspiels [afterparties] over stupid boys, and you’ve forgotten that you sometimes cried yourself. 10 years later you still see these beautiful people, and it’s like time stood still. Some people will always be on your side, even though it feels like nobody in the whole world gets you. We’ve been very much enjoying your other singles recently too – so should we expect an album sized release anytime soon?! Thank you! We finished the album with our producer Matias Tellez (Young Dreams) late last year, and it will be released September 15. 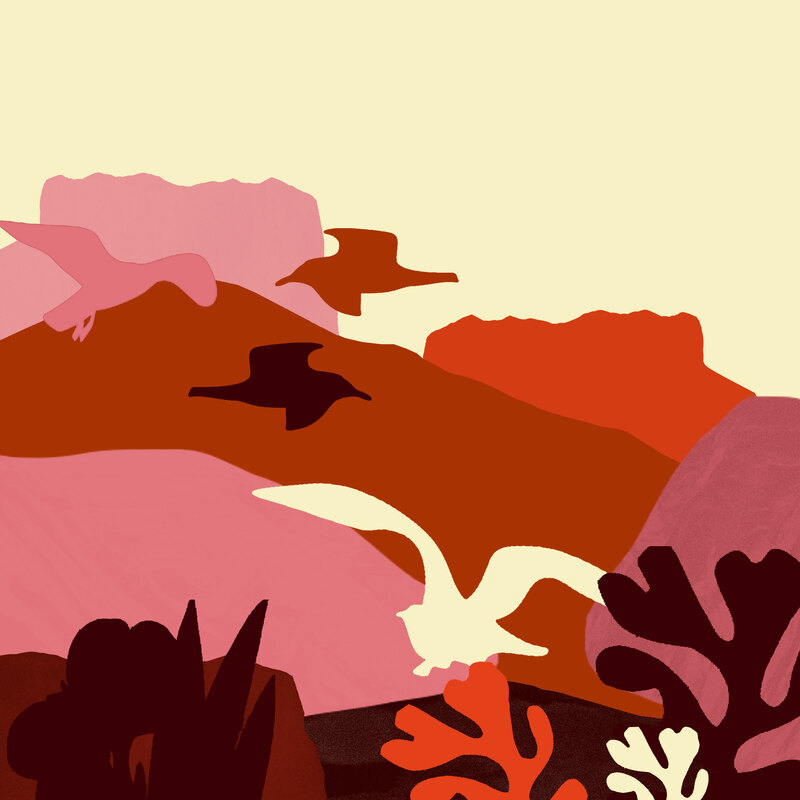 We already know you both from The Megaphonic Thrift – so what musical ambitions were you both hoping to pursue with Misty Coast? We are hoping to bring the lo-fi minimalistic alternative pop music back into the light. We are a bit fed up with all the overproduced and over-emotional music of the commercial pop music scene. For us it can be very boring to listen to a concert with a band that sounds exactly the same live as on the recordings. There should be an extra nerve to a live performance, with room for spontaneity and playfulness. And things don’t have to be polished and perfect all the time. We often find distorted and “ugly” sounds the most beautiful. And how does the songwriting process typically work between the two of you? Most of the time one of us starts to build an idea, it can be a riff or a bass line or a beat. Then it develops into some kind of relay race, where we take turns on colouring the soundscape with our individual way of thinking music. If you had to pick one huge influence on the music that you’re making (not necessarily music, can be a film, a place, a book), what would it be? When we started Misty Coast, we were very hooked on Broadcast – and we still are. You can never get sick of their amazing records, and Trish Keenan was a true genius and an everlasting inspiration. We saw a video of a great impromptu cover of PJ Harvey that you did recently! Which makes us want to know – what are your favourite songs to sing at karaoke?! Linn usually chooses a hit from her golden teenage days, like the fabulous ‘Toxic’ by Britney. Richard will typically choose something more classic like ‘The Model’ by Kraftwerk or The Stooges’ ‘No Fun’. 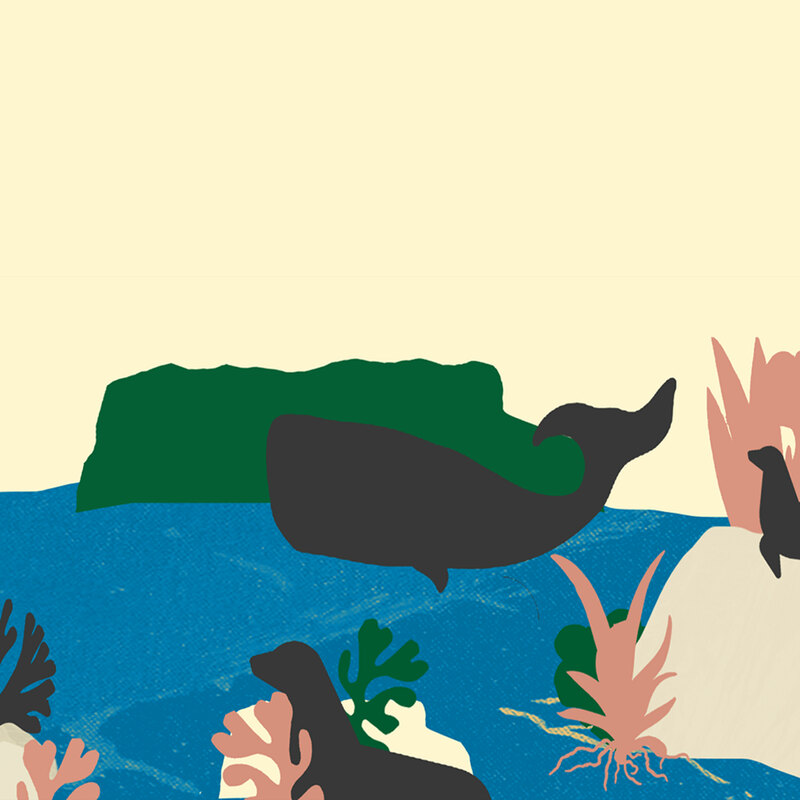 We’re very excited for you to join us at the upcoming Ja Ja Ja club night in Berlin! What should people who are coming to the show expect from your live show? A rougher and louder soundscape then you experience on the recordings. We love to play with effect pedals, and the freedom of playing live is to be able to experiment and improvise. Do you have any good new music tips to share with us? There’s so much good music coming out of Norway these days! Check out Soft Ride, Closing Eyes, Super Heavy Metal and Kathinka. And finally, what does the rest of the year hold for you? We’re gonna play a few small town festivals in Norway this summer, and we’re planning to do a release tour in the UK and Norway this fall. We’re also eager to write new music, and start recording. We just got a new studio together with our drummer Kim Åge Furuhaug, so maybe we’ll step it up and move our recording sessions away from our living room floor this time.